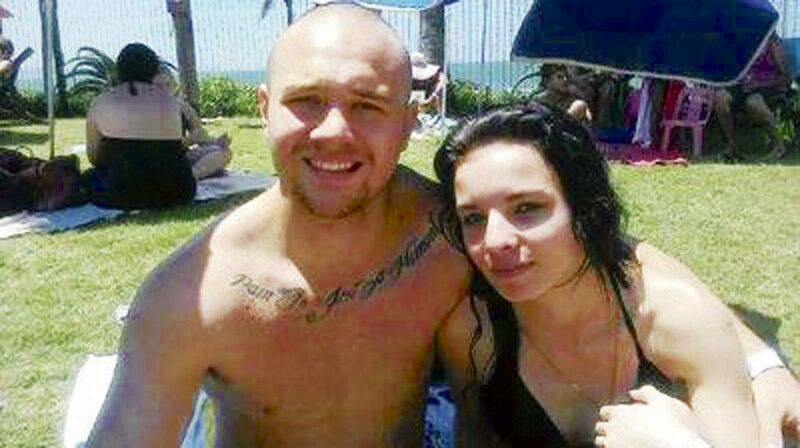 Interpol has been requested to execute a warrant of arrest against the ex-boyfriend of a woman who was murdered and left in a bush at Doonside Beach on the South Coast in November 2014. However, since the suspect, Dylan Taljaard, is believed to living abroad, the SAPS is hoping that Interpol can help track him down. The docket was transferred to Warrant Officer Rajan Govender of the Provincial Task Team, after the family of the deceased, Shannon Lee Roberts, complained to the National Prosecuting Authority that they want justice to be done. It is alleged that Taljaard may have used false travel documents to fly to Dubai in 2017. Police said they have no record of him moving out of Dubai. Taljaard, however posted Facebook pictures of himself backpacking in Argentina. That created the suspicion that he may have jetted out of Dubai with false travel documents. Provincial police spokesperson, Colonel Thembeka Mbele, confirmed that a warrant of arrest had been issued against the suspect and that Provincial Task Team, had taken over the investigations. Interpol declined to comment about its investigations. “Interpol does not comment on specific cases or individuals except in special circumstances and with the approval of the member country concerned,” read the statement from Interpol’s press office. Taljaard’s father, Wynand, (57), believes his son is innocent and will return home to face trial. He was scathing about social media commentary on the case. “Dylan and my family have lived through hell over the last few years,” said Taljaard. “Apart from him being made to look like a suspect and found guilty on social media, Dylan was never informed that he is a suspect. I am sure he is not aware of the arrest warrant. He left South Africa in 2016. We last heard from him when he was in South America in October last year,” said Taljaard. He dismissed the suspicion that his son might be travelling on false papers. “What would be the need for that?” asked Taljaard. Shannon’s adoptive father, Gavin Roberts, claimed that had the initial detectives done their job properly, the outcome would have been vastly different. “That afternoon (14 November 2014) Shannon went down from a friend’s place to meet Dylan at the beach, and an hour or so later she was dead. “Yet Dylan was never even taken in for questioning. Instead, when Dylan himself went with his father to the police station, he was reportedly told by an officer not to incriminate himself but to rather speak to a lawyer first,” said Roberts. Roberts said other flaws in the investigation included the failure to study the CCTV footage, examine cellphone records and satellite tracking of Shannon’s and Dylan’s cell phones.